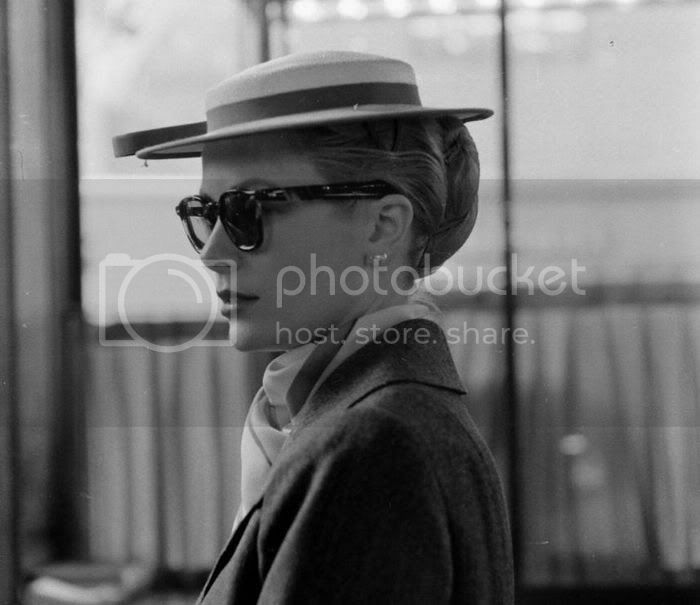 Grace Patricia Kelly worn born in Philidelphia in 1929. After her high school graduation in 1947, Grace struck out on her own, heading to New York's bright lights to try her luck there. 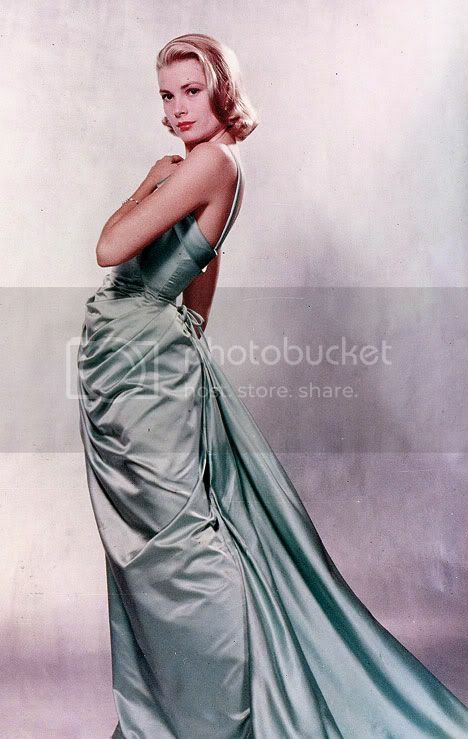 Grace worked some as a model and made her debut on Broadway in 1949. Not content with the work in New York, Grace moved to Southern California for the more prestigious part of acting -- motion pictures. In 1951, she appeared in her first film entitled Fourteen Hours (1951) when she was 22. In 1953, Grace appeared in only one film, but it was another popular one. 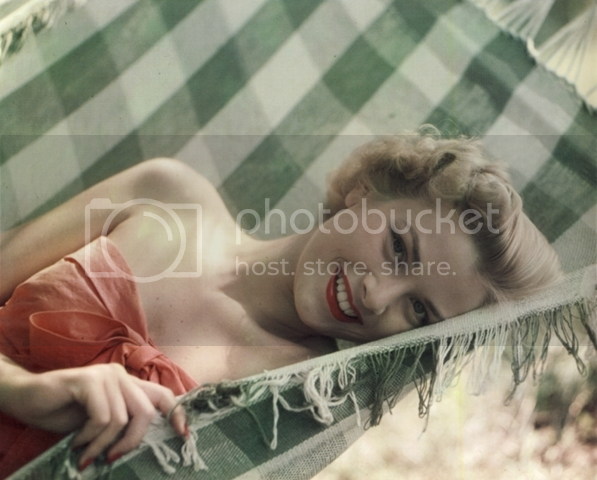 The film was Mogambo (1953) where Grace played Linda Nordley. The film was a jungle drama in which fellow cast members, Clark Gable and Ava Gardner turned in masterful performances. It was also one of the best films ever released by MGM. Although she got noticed with High Noon, her work with director Alfred Hitchcock, which began with Dial M for Murder (1954) made her a star. 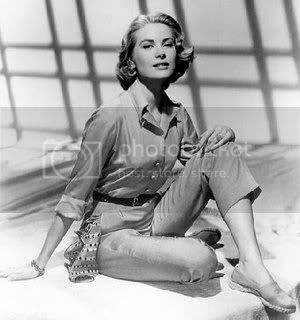 Her standout performance in Rear Window (1954) brought her to prominence. 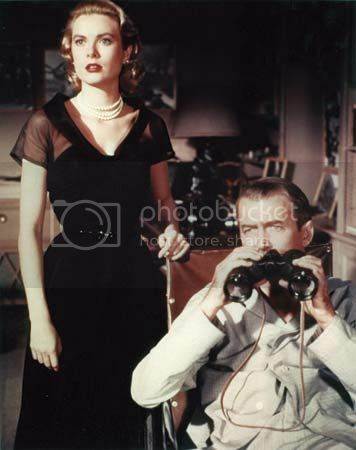 As Lisa Fremont, she was cast opposite James Stewart, who played a crippled photographer who witnesses a murder in the next apartment from his wheelchair. Grace would forever be immortalized by winning the Academy Award for Best Actress for her portrayal of Georgie Elgin opposite Bing Crosby in The Country Girl (1954). In 1955, Grace once again teamed with Hitchcock in To Catch a Thief (1955) co-starring Cary Grant. In 1956, she played Tracy Lord in the musical comedy High Society (1956) which also starred Frank Sinatra and Bing Crosby. The whimsical tale ended with her re-marrying her former husband, played by Crosby. It also turned out to be her final acting performance. Grace had recently met and married Prince Rainier of Monaco. By becoming a princess, she gave up her career. For the rest of her life, she was to remain in the news with her marriage and her three children. On September 14, 1982, Grace was killed in an automobile accident in her adoptive home country. She was just 52 years old. Stunning images, thanks so much for sharing!! !